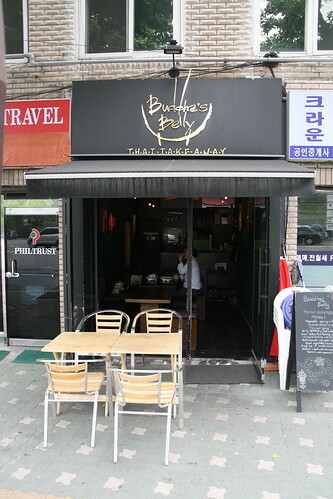 After Monday's terrible lunchtime excursion, my wife and I decided to play things safe and paid a visit to the tiny Buddha's Belly restaurant round the corner from Noksapyeong station. I've been to its big sister behind the Hamilton Hotel and had decent food there, but I wanted to see whether this tiny little place would keep up the standards. Seating ten inside, plus four on outside tables, this miniscule restaurant is simply decorated and very cute. We went for the "Spring Rolls" at 2,000 won, a "Thai green curry with beef" for 11,000 won and "Pha Thai Noodles with prawns" for 10,000 won. 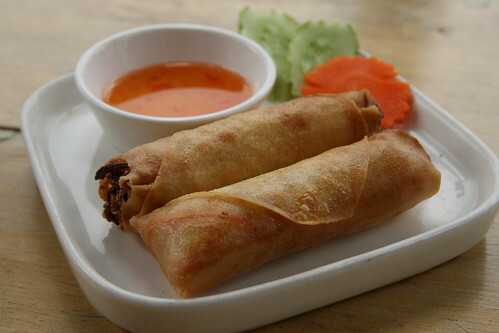 The spring rolls were beautifully presented, very crispy with a satisfying chewy centre. Simple, but delicious. 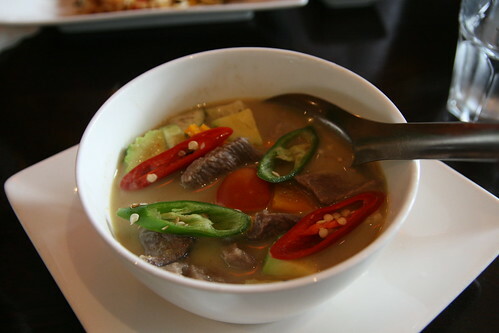 The Thai green curry was also nicely presented, tasted great, but suffered from the beef being a tad gristly. 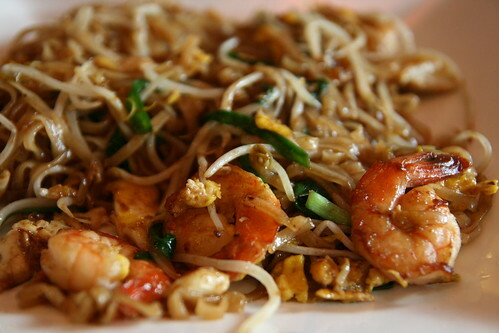 The Pha Thai Noodles were also tasty and the prawns were cooked to perfection. For a total of 23,000 won, a very satisfying lunch. To get to the tiny Buddha's Belly head down from Noksapyeong station towards Haebangcheon, walk past the Lexus dealership, second hand bookshop, Thunder Burger and Mi Madre until you hit the junction. 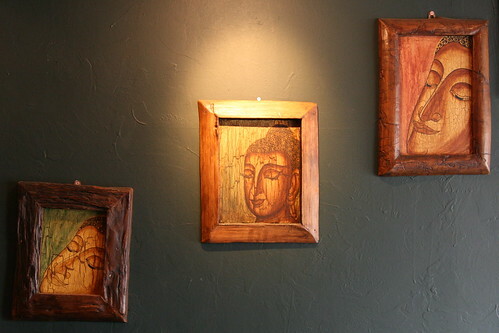 Buddha's Belly is on the corner. You can call them on 02 793 2173.